Our next course starts again May 2019! Registration is now OPEN! Our teacher training curriculum is for those students who wish to deepen their knowledge of asana, pranayama and meditation. The course is a six-month, 200hr accredited course, comprising of 76 practical class hours, weekly experiential yoga practice hours plus written assignments. The course is completed with a practical examination and assessments. 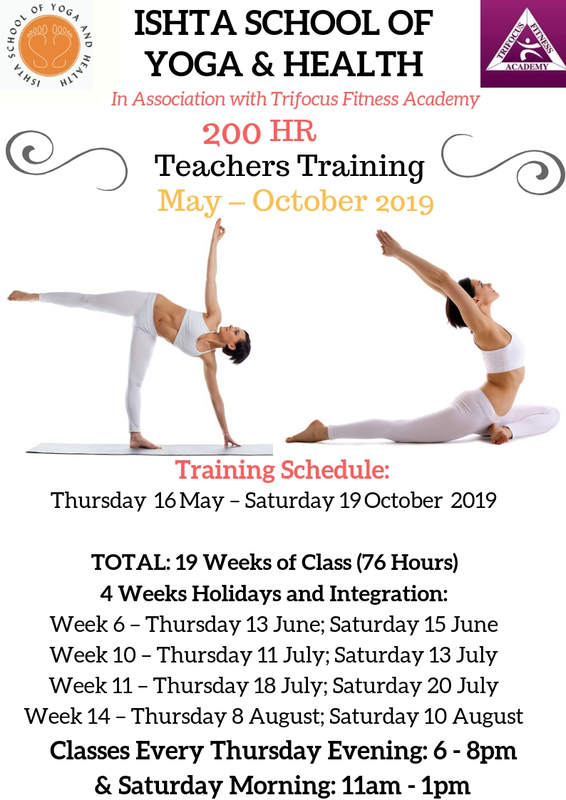 With amazing teachers and guest lecturers, this course is deeply enriching and covers all aspects of classic hatha yoga philosophy and practice. Classes run every Thursday evening from 6 – 8pm and Saturday from 11am – 1 pm for the duration of the course. 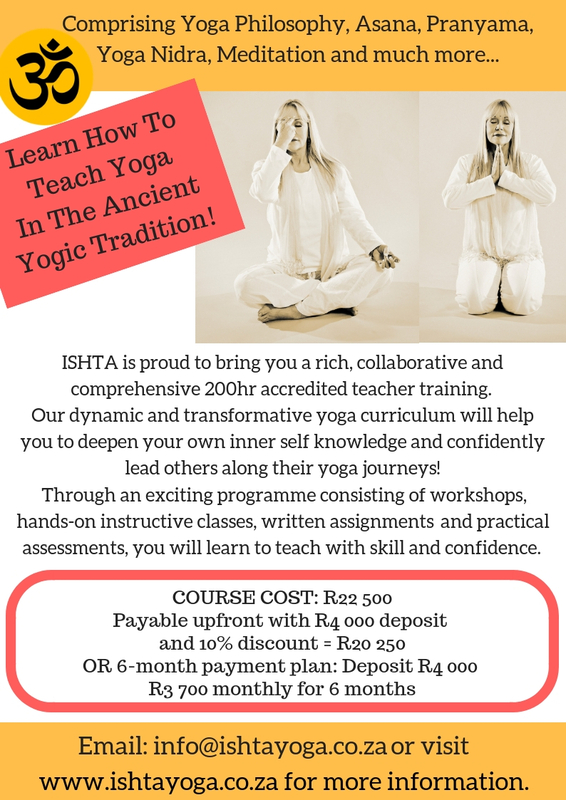 * A minimum of two years previous yoga practice is required for acceptance on this course as well as an eligibility interview with the teachers @ the ISHTA School of Yoga & Health. * Please be advised that this is a 200 hour training, meaning that in addition to the 76 hours of class time, you are required to gather an additional 124 hours of experiential yoga class hours. *All experiential hours are available free of charge @ ISHTA to Teacher’s Trainees. *150 hours in total MUST be completed at ISHTA and the remaining 50 hours can be completed at studios or workshops or retreats of your choice. * A 90% attendance of your class hours is required for qualification. Once you have registered, you are able to start gathering your experiential yoga hours so you can complete the course at a nice, steady and even pace.